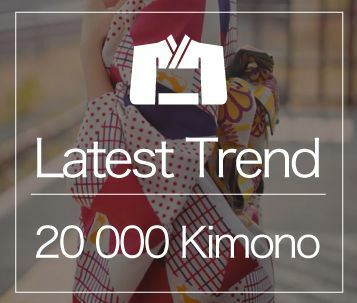 Best kimono rental in Japan! Renting for the first time? A wide variety of popular plans!! Only in Petit Stores; Student Discount!! Spend the best time dressed in your favorite plan!! Free shipping all-around Japan for your special occasion!! 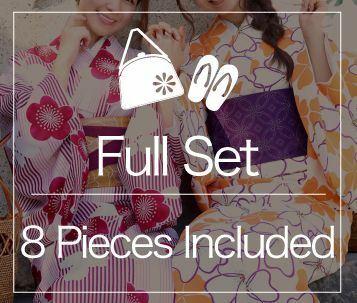 Perfect for weddings, school ceremony, graduation, shichigosan and other special occasion! 5 mins walk to the Yasaka Shrine! 3 mins walk from Gionshijo Station!! 5 mins walk to the Kiyomizudera Temple! 10 mins walk to Togetsukyo!! 5 mins walk to Togetsukyo!! Direct access from Shinsaibashi Station!! 5 mins walk from Asakusa Station!! 4 mins walk from Oshiage Station!! 2 mins walk from Kamakura Station!! 1 min walk from Korinbo Bus Stop! One minute walk from Bikan-chiku! 30 secs from Saga-Arashiyama Station! !Next to Tenryuji!! 1 min walk to Kiyomizudera! Take the JR Sagano Line and get off at Saga-Arashiyama Station for a 30 seconds walk. Cross the round-about and go straight forward, our shop is located on the 2nd floor of the building on your right. 2 mins walk from Kyoto Station!! 30 secs from Saga-Arashiyama Station!! 1 min walk to Kiyomizudera!! Direct access from Daimaru Shinsaibashi Station!! 5 mins from Asakusa Station!! Only 5 mins walk from Shinjuku Station East Exit! 3-minutes walk from Ginza Station! 8 mins walk to Kenrokuen Park! 1 minute walk from Dazaifu station! The place is convenient, and taking the jinrikisha ride was a great choice! He would help you to take pictures and tell you many facts about the places. This is our honeymoon trip in Japan, and we glad to have a date like Japanese in kimono. Thanks! My first trip to Japan, and my first experience of kimono. Perfect! My friends and I chose to wear Mamechiyo Kimono and that was a great choice! I would like to try another kimono plan next time. i am proud as Japanese to be able to introduce this store to my foreigner friends. We happy to be dressed up beautifully in kimonos. 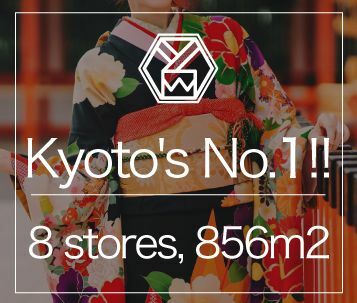 Visit Our Biggest Branch Kyoto Tower Store! 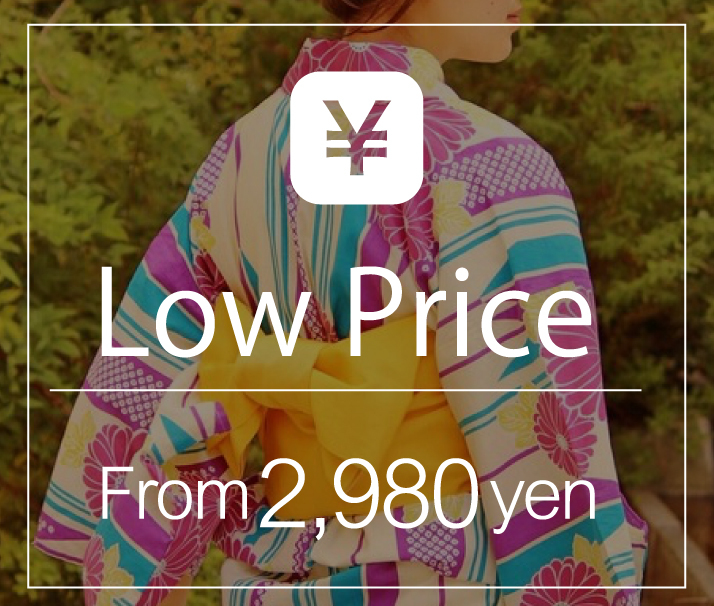 How do we manage to make our kimono rental available at such a reasonable price? We reveal our secret here! 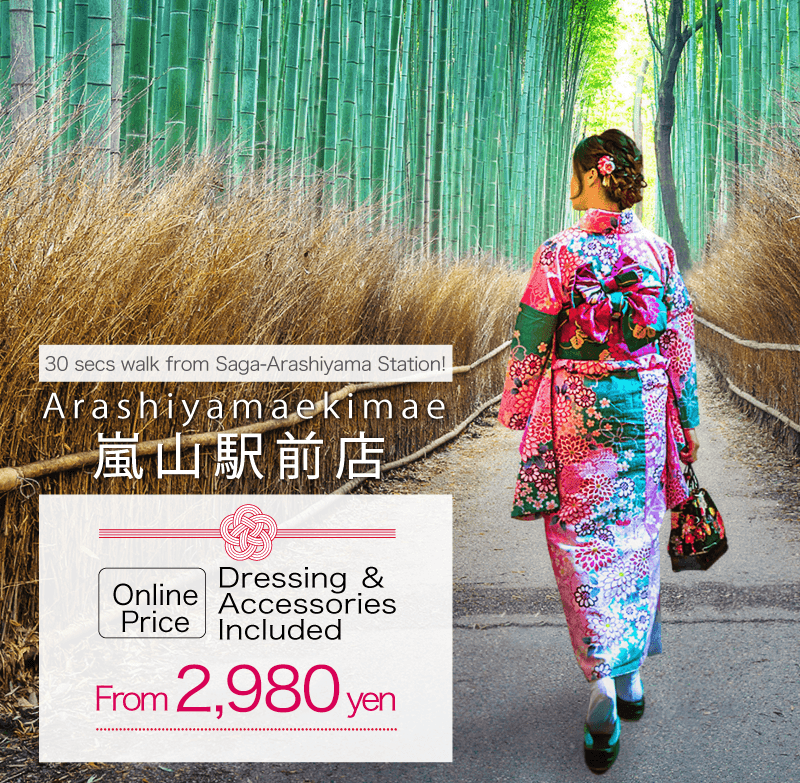 30 secs walk from Saga-Arashiyama Station! reach the front of the station and find our building on your right on the side of the Torokko Station. Our shop is located on the 2nd and 3nd floor of the building. One stop from Kyoto Station, our shop is located on a convenient spot for those who wish to walk around Arashiyama or ride the Randen Trolley Trains. 1. "Tenryu-ji" and "Togetsu-kyo Bridge" are just a 10-minute walk, with access to Arashiyama sightseeing- one of the best attraction in Kyoto. 2. Enjoying the Hozugawa Valley Sagano Truck Train "Torokko Saga Station" where Arashiyama spreads in front of you. 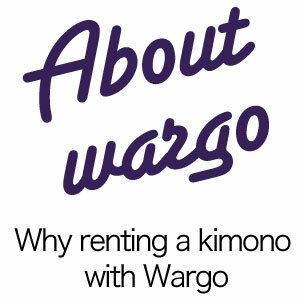 Copyright © 2016 Kyoto Kimono Rental Wargo. All Rights Reserved.